Not too many people know about the Ghost Army and what they did during the war, but they played an very important part in the Allied victory. In this second book in the Spy On History series, readers meet Sergeant Victor Dowd, a Brooklyn boy, was hand picked by the Army to become part of the 603rd Camouflage Engineers, a/k/a the Ghost Army. Victor, along with the rest of the hand picked members of the Ghost Army, had been chosen because of their artistic talents. After basic training, the members of the 603rd had developed and tested inflatable guns, planes, tanks, and vehicles as well as figuring out how to disguise bomber planes and coastal defense to fool the enemy. Now, along with the 3132 Signal Service Company Special, they would get to test their deceptions for real. After the successful Normandy invasion, Vic and his platoon arrived on Omaha Beach in France, along with their inflatable "equipment" and wasted no time setting up their inflatable howitzers. But would it fool the enemy? That was the question the Ghost Army asked themselves each time they moved forward. Their job was to fool the enemy into thinking they were a fully armored division ready for battle, when in reality there was nothing but realistic inflatables and finely tuned sound effects imitating every possible sound typical of real division. As the Ghost Army worked its way through France, Belgium all the way to the Rhine and their longest and greatest deception, readers can use the spy craft tools to try to solve the mystery of Victor's missing sketchbook. To help them do that, there is a sealed Top Secret envelop included at the front of the book that contains the four spy craft tools to help readers will need to find the clues that are scattered throughout the book to help them solve the mystery of where to find Victor Dowd's missing sketchbook. The tools include a cipher wheel, a red acetate sheet, a WWII "poop sheet" containing information about specific units, as well as morse code, and a sheet of vellum featuring patches of the Ghost Army and the battalions they impersonated. The Spy on History series is a great way for kids to add to their knowledge of history. This is a middle grade book and by then, most kids have learned about WWII, but this adds to that by providing a look an some of the more unusual aspects of that conflict. And at the same time, they get to use their problem solving skills as they try to solve the mystery. When I was a classroom teacher, and even in homeschooling situations, Friday afternoon was always cool down time and the kids were allowed to play strategy games. This would be an ideal addition to the other games. If you were a member of the Ghost Army, which of your creative skills would you utilize to deceive the German troops? Personally, I'm not very artistic, but I'm a good problem solver, so the only thing I would be good for are idea about how to go about deceiving the enemy. 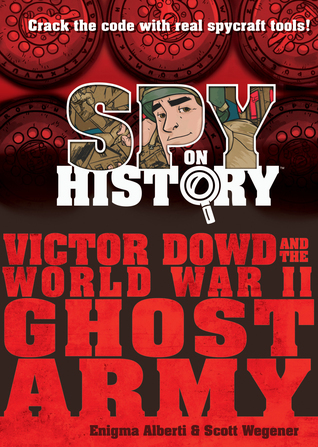 Spy on History: Victor Dowd and the World War II Ghost Army is a wonderful and fun way to learn about the important role the Ghost Army played in helping the Allies win the war. Most of us are familiar with Munro Leaf’s iconic anti-bullying-be-yourself book The Story of Ferdinand, especially now that it has once again been made into a movie. Ferdinand, you may recall, is a bull who refuses to fight, preferring instead to peacefully smell the flowers. Ferdinand was written in 1936, and since it takes place in Spain, critics quickly equated it with the Spanish Civil War (1936-1939). In fact, the story of the “peaceful” bull was burned by the Nazi’s and banned in General Francisco Franco’s fascist Spain, bellicose countries where Ferdinand was considered to be anti-fascist and subversive for attempting to promote a pacifist agenda. 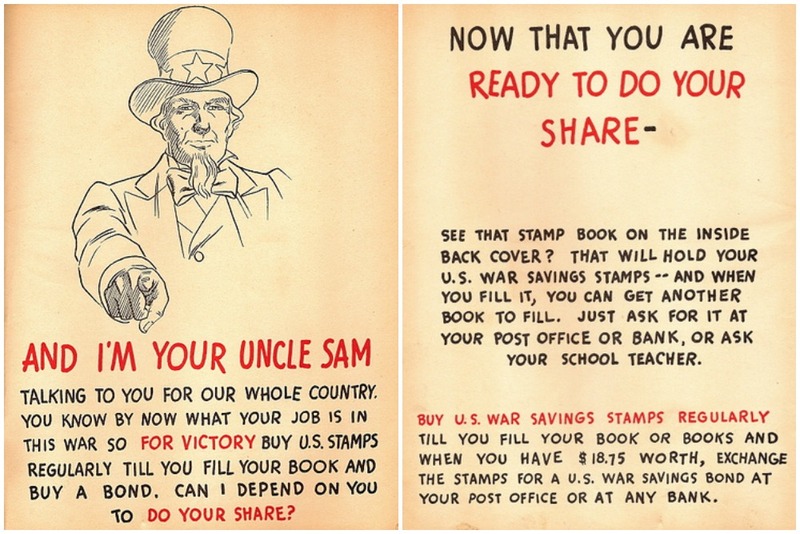 When the Untied States entered WWII after the 1941 attack on Pearl Harbor, Leaf enlisted in the Army and while serving, he wrote two books that offer suggestions for ways in which children could participate in the war effort as the country quickly mobilized for war. 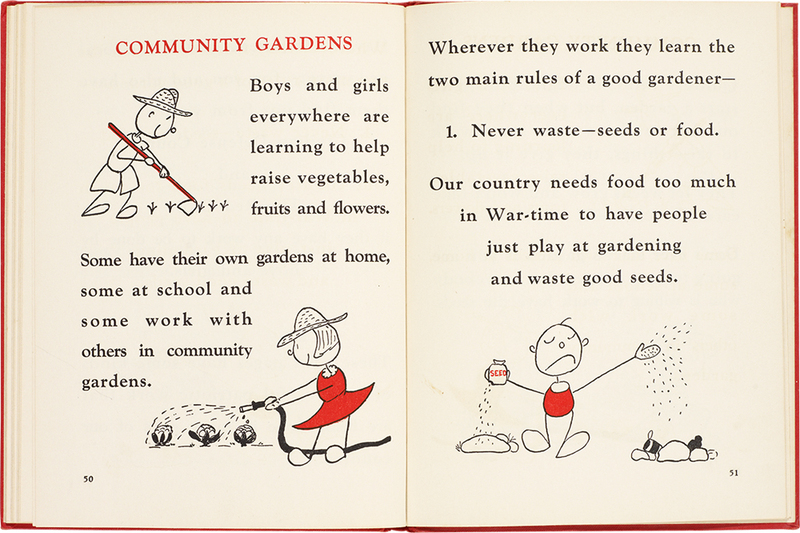 After all, everyone wanted to do their bit for the war effort, including children. And, it was felt that the best way to help war-time anxieties in the young was to take advantage of their youthful energy and natural desire to help. "Munro Leaf knows that boys and girls from seven or eight up are interested in their country's war and have a right to be. He tells them what they want to know about constructive war-time behavior - incidentally good citizenship for peace-time, too. 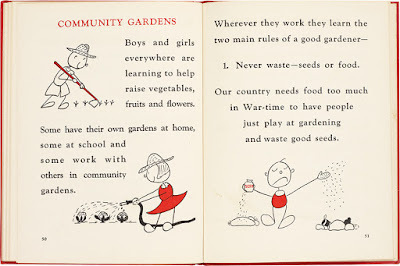 He gives dozens of practical suggestions - based on actual plans of Government Departments, and made joyful and inviting by his own lively drawings in red and black - for things boys and girls can properly do to help their country in this crisis. He tells them how they can become a real part of the job that every American citizen must share to bring Victory and Peace. "In the family, in the neighborhood, in the community, this book will create new cooperation, new interest, new spirit, in giving boys and girls their part in the big job. It is their hat, too, and they are eager to put it on. The book will help parents, organizers and teachers to know how to use the vast energy and eager spirit of millions of young American citizens." The suggestions are simple - from keeping themselves strong and healthy, maintaining a cheerful attitude, helping to create a harmonious atmosphere at home by doing chores cheerfully, to gathering scrape metal and paper, working in community gardens, learning first aid, running errands, and simply by being a good neighbor and a good citizen. 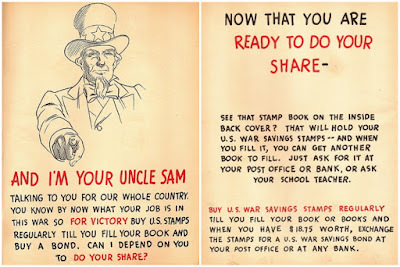 At the very end of the book was a Savings Bond booklet that kids could use to paste their stamps in each time they bought one, and once they read $18.75 in stamps, they could trade their booklet in for a savings bond, worth $25.00 at maturity in 10 years. Kids actually did embrace they suggestions Leaf makes in these books, though how far their actual influence went can't really be measured. Still, it goes to the power that books have to teach and inspire action in young readers. 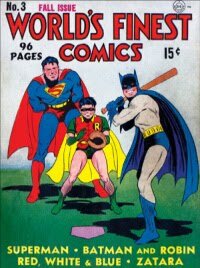 And yes, the Axis powers also used these kinds of propaganda tools to influence and inspire their young readers. Needless to say, of the three books here, The Story of Ferdinand is fortunately still a beloved children's book. When I was young, I thought that when a war ended, everything simply went back to being normal. Then my dad took me to England and Wales to meet his family and, even after all those years since WWII had ended, there were still so many places where you could see war damage. That trip changed my whole perspective on war, as I realized that recovery was just not that easy. Nowhere is the aftermath of war more telling and poignant than in the story of the Candy Bomber and the Berlin Airlift. 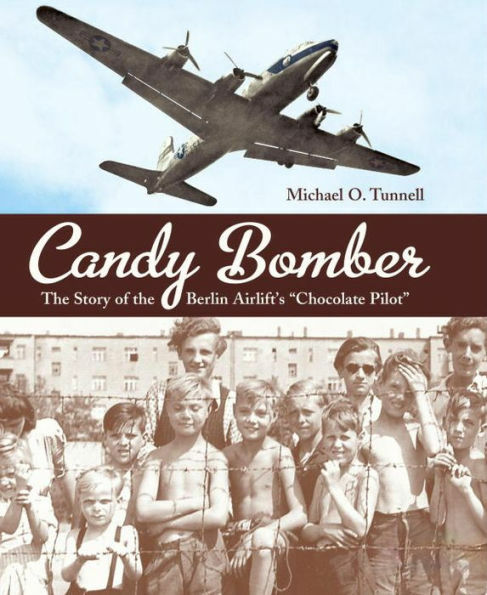 In Candy Bomber, Michael Tunnell gives a brief, but excellent accounting of events that led to the Berlin Airlift. After WWII had ended, Germany was divided up into four occupied zones. Berlin, which suffered heavy bombing towards the end of the war, was right in the middle of the Soviet zone, and was divided in half - the eastern half was occupied by the Soviets, the western half of Berlin was occupied by the Allied powers. The Soviets, in an effort to drive the western powers out of their half of Berlin, cut off supply routes for desperately needed shipments of food. To keep western Berliners from starving, the RAF launched Operation Plainfare, while the Americans began Operation Vittles in 1948. One of the American pilots who flew foodstuffs to Tempelhof Central Airport in Berlin was Lt. Gail Halvorsen, whose life was changed during one of his deliveries thanks to two sticks of Doublemint gum. There were always groups of kids around the fence of the airport whenever Halvorsen landed, and one day he walked over to them. A few knew snatches of English, and told him what their life was like. Before leaving, he pulled two sticks of gum from his pocket, broke them in half and gave them to some to the kids. Realizing that the kids probably hadn't had any sweets in a long, long, time, if ever, Halvorsen decided to try dropping candy from his plane. But with so many planes landing in Tempelhof, how would the children know his plane? The answer was simple - he would wiggle his wings for them. It wasn't long before Halvorsen became known to Berlin children as Oncle Wackelflügel (Uncle Wiggly Wings) or der Schokoladen-flieger, as kids anxiously awaited his candy drops. Pretty soon, his buddies began donating their own sweet rations, and as more parachutes were dropped, Halvorsen's simple plan just kept growing. Soon, donations of candy from around the world began arriving at the Rhein-Main Air Force Base, where he was stationed. Then, the whole operation was nicknamed Operation Little Vittles and Lt. Gail Halvorsen was catapulted into fame as a media figure. The Berlin Airlift ran from June 24, 1948 to May 12, 1949, but for Candy Bomber Gail Halvorsen, his fame has lasted a lifetime. Tunnell has put together a comprehensive biography of both Gail Halvorsen and the Berlin Airlift, incorporating anecdotes of kids who had received candy, letters and drawings Halvorsen received from kids during the airlift, and lots of photographs, attesting to his fame during and after the airlift. There are also maps to half kids understand how things evolved after the war, showing the odd way Germany and Berlin were divided up. The story of Candy Bomber Gail Halvorsen was a little remembered story, but one that certainly should appeal to young readers. At a time when heroes are really needed, I couldn't help but think about what a wonderful role model Halversen is, demonstrating how one person can make such a difference in the lives of people. And adding to this touching story is the fact that 2018 marks the 70th anniversary of the Berlin Airlift. 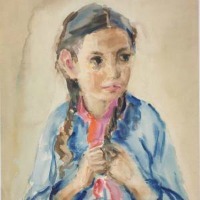 It’s January 1941 and Rivke Rosenfeld, 12, is living in the small sanctuary of a synagogue within the walls of the Warsaw Ghetto with her younger sisters, Tsipoyre and Sorele. Both their parents and their Bubbie (grandmother) have died of typhus, and now they are cared for by their Zadye, their grandfather. Despite the cold, and secretly at night, while everyone is sleeping, Rivke is moved to begin recording what life for the Jews in the Ghetto is like at the hands of the Nazis. It is a risky thing to do, and she knows full well she could be killed on the spot if such a record were ever found. Yet, Rivke is propelled to take this risk after witnessing German soldiers cruelly shaving off Zayde’s beard with a knife, and then attacking other Jews in the street, including the man Rivke calls the Peddler of Wind. Rivke begins keeping her diary in the margins of a book of Hans Christian Anderson stories given to her by Batya, the children’s librarian in the Ghetto, stories that Rivke loves. One day, Rivke asks the Peddler of Wind what he carries in the sack he always has with him. He answers wind wishes, and just as she asks if he has any fairytale wind, there is a strong wind begins to blow. 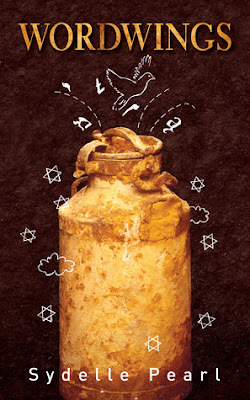 Scared, Sorele begins to cry, and Rivke starts telling a story of her own about a young Polish boy who loved to blow the Shofar on RoshHaShanah. By the end of the story, everyone is spellbound, and it is clear the Rivke, a lover of stories, has found her own voice as a storyteller. 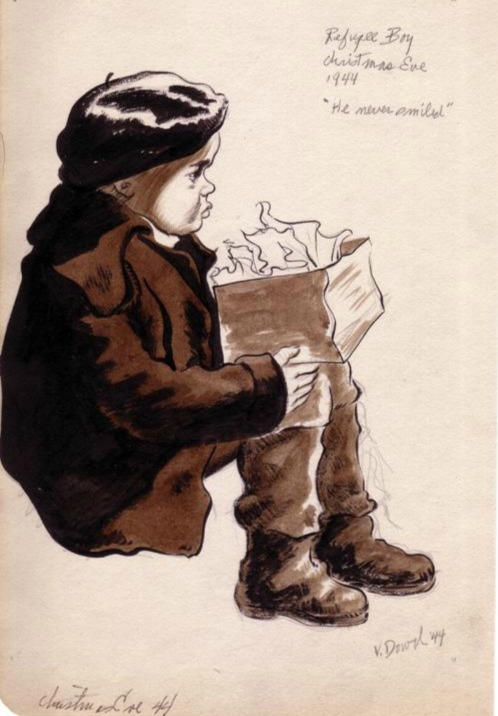 is made into a book for the library, with illustrations by Gela Seksztajn, an artist who works with and draws picture of the children in the Ghetto. Rivke learns that Dr. Ringelbaum is head of a secret project called the Warsaw Ghetto Archive, intended to be a collection of artifacts about what is happening in the Ghetto, and which will ultimately be buried for safe keeping until the war is over. And the fact is that within the Ghetto, and as terrible as conditions were, a cultural life did thrive for the people who were forced to live there. That is made clear in Wordwings with the inclusion of Rivke’s storytelling, Batya’s library, and Dr. Ringelbaum’s Archive, both of which really existed. One of the things I liked is the way Pearl has so seamlessly combined fiction and reality. Those Rivke, her sisters and Zadye are fictional characters, they continually interact with people like Batya, Gela, Dr. Janusz Korczak who ran the Orphans Home, and Dr. Ringelbaum. When you read the Author’s Note at the end of the book, you will learn more about the persons included included in the novel and their fate. Wordwings is written completely from Rivke’s point of view in the first person (after all, it is her diary), and her diary runs from 9 January 1941 to 9 May 1941. The ending may feel a bit abrupt, until you remember that the diary ends, not because of anything historical happening, but because Rivke has reached the end of the Hans Christian Anderson book, and it was time to put it into the Archive. I highly recommend Wordwings to anyone interested in the Holocaust, WWII, or simply historical fiction. It is a valuable addition to the literature of the Holocaust, and has been named a Notable Book for Older Readers by the 2018 Sydney Taylor Book Award Committee. I wish to thank Sydelle Pearl and Guernica Editions for providing me with a review copy of this book. 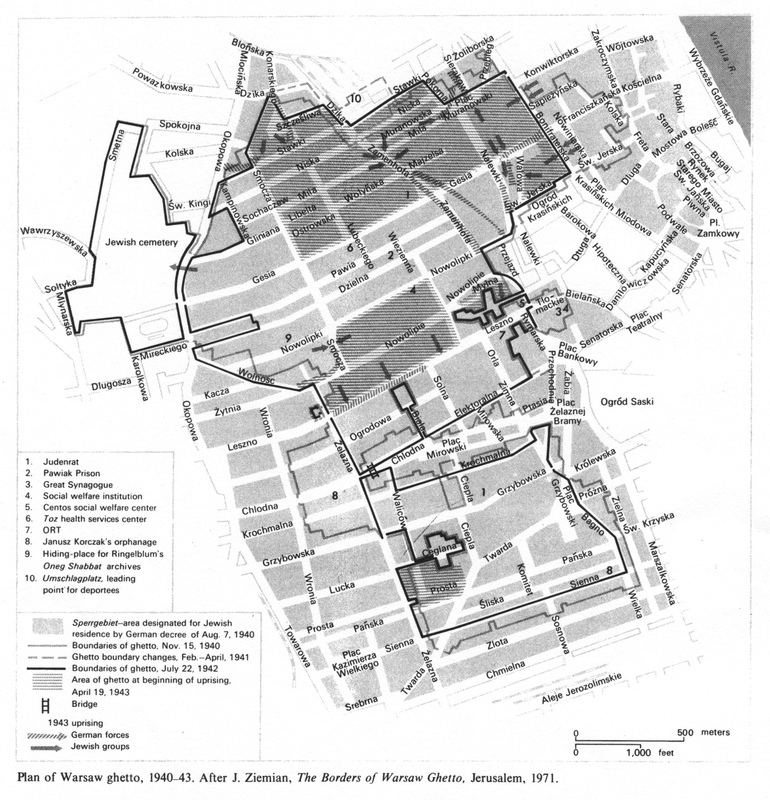 You can learn more about the Warsaw Ghetto at the Jewish Virtual Library. You can discover more about Dr. Ringelbaum and the archive by visiting the online Yad Vashem exhibit about it. 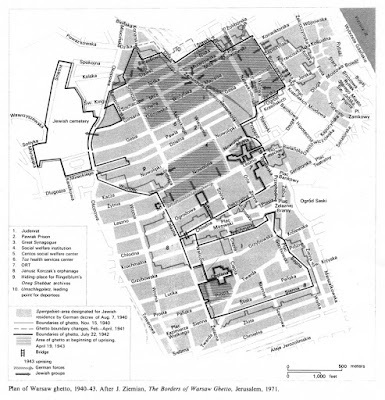 Encyclopaedia Judaica (1971): Warsaw, vol. 16, col. 347-348. (FYI: the Warsaw Ghetto existed from October 31, 1940 to September 21, 1942, the final day of deportations to Treblinka, and also Yom Kippur). It would seem that having been born in to a well-to-do New Jersey family, Gertrude Tompkins’ life should have been a happy one, free from care and stress. The third daughter of Vreeland and Laura Tompkins, right from the start, Gertrude stuttered just like her father. Vreeland dragged her to doctors throughout her childhood, trying all kinds of supposed cures for stuttering, and naturally, none worked except to make Gertrude miserable. School was especially difficult for her, and she made up excuses not to go whenever possible, finding solace in books and reading instead. After high school, Gertrude attended the Pennsylvania School of Horticulture for Women, where, though still feeling like an outsider, she found more acceptance than she had in her earlier school days. After graduating, Gertrude traveled abroad extensively, but returning home found herself feeling closed in and eventually moved into her own place in Greenwich Village, commuting to work in her father’s company in New Jersey everyday. During that time, Gertrude met Mike Kolendorski, a pilot in Eagle Squadron 71, and it was most likely Mike who introduced her to flying. After he left to fly for England, she began taking flying lessons, so when the United States entered WWII in 1941, and Gertrude learned that women pilots were needed to replace men now in service, she put in her application to become a part of the newly formed WASPs (Women’s Airforce Service Pilots). 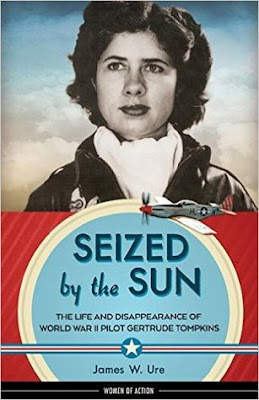 It is speculated that Mike Kolendorski was the love of Gertrude’s life, but even her sister Elizabeth didn’t know for certain that this was true (Kolendorski was killed on a flying mission in 1941). Interviews with Gertrude’s fellow WASPs and friends yielded some information, and it was made very clear that she loved flying. At this point, the book not only explores Gertrude’s life in the WASPs, but also gives an in-depth history of how the WASPs began and it troubled existence. Gertrude was apparently a very private person, considering how little is known about her life. The book does do a great job of piecing together the life of Gertrude Tompkins. She apparently was a very private person, considering how little is known about her life, even by her sisters. It also does a great job giving a detailed account of the WASP and especially the poor treatment the women received from the men pilots and those in charge. There simply were no benefits for these courageous women who put their lives on the line in service to their country. They were forced to pay for everything they needed, while men were provided for, and they were also used to fly planes dragging a banner that was used for target practice with live ammunition and no health, medical, or death benefits if they are hurt or killed. Still, Gertrude and her fellow WASPs loved flying. As the war began to turn in favor of the allies, and it looked like the end was coming, Ure speculates the Gertrude must have wondered what she was going to do afterwards. When a marriage proposal came from an old friend, Henry Silver, she reluctantly and unhappily accepted, mainly to please her father. Not long after, Gertrude disappeared shortly before taking off in a plane near Santa Monica Bay, California. Neither she nor her plane were ever found and what happened remains a mystery to this day. I’ve read a number of fictional accounts of women who were WASPs during the war, (Flygirl, Velva Jean Learns to Fly, and Becoming Clementine) and I found that these fictional accounts about life as a female pilot corresponded really well with Ure’s factual information. I also thought he did a great job describing Gertrude’s life, though there was a lot of speculation wherever there were gaps. A number of searches for Gertrude have taken place, but to no avail and Ure theorizes on the possibilities of why nothing was ever found. Do read Ure’s Afterword to discover how the book was put together. Additional back matter includes a list of Gertrude’s personal effects found in various footlockers and quarters, a Tribute to WASPs Killed in Service, detailed Notes, and an extensive Bibliography.